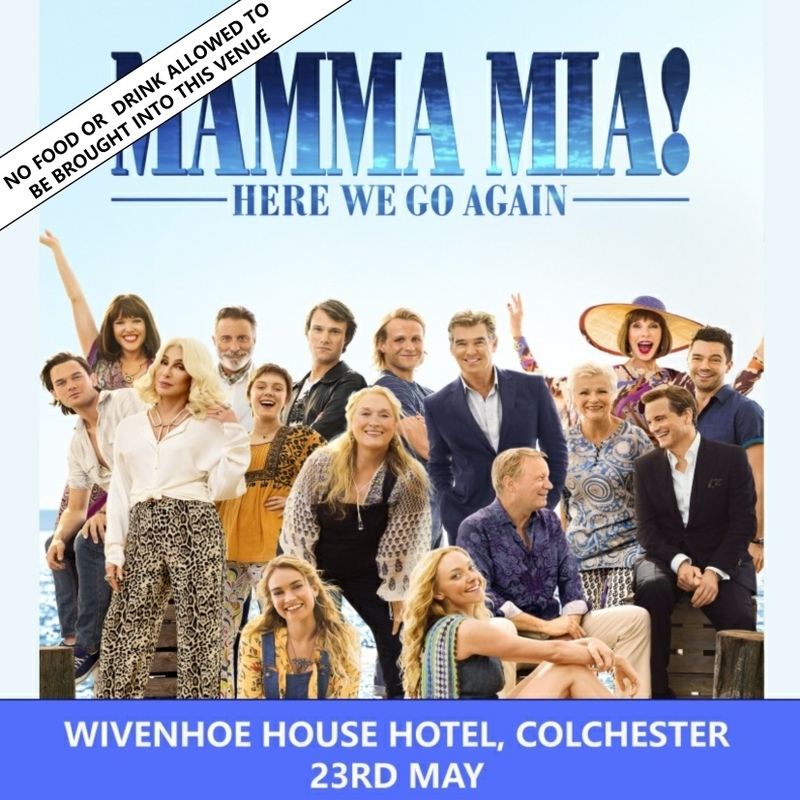 Come to our outdoor event in the beautiful gardens of Wivenhoe House on the 23rd May where we will be screening Mamma Mia Here We Go Again. Get ready to laugh and love all over again. Ten years after Mamma Mia! Gates open at 6pm, the film starts at 7.30pm and will finish approx 9.30pm. Ticket price of £12 adult and £9 child under 12 years. No food or drink allowed to be brought onto the premises, vendors will be present. You could upgrade and book a VIP ticket for only £20, this includes comfortable seating on the terrace with blankets and table service. Why not make a night of it and add a 3 course meal to your package for £25 per person. All options available upon checkout.